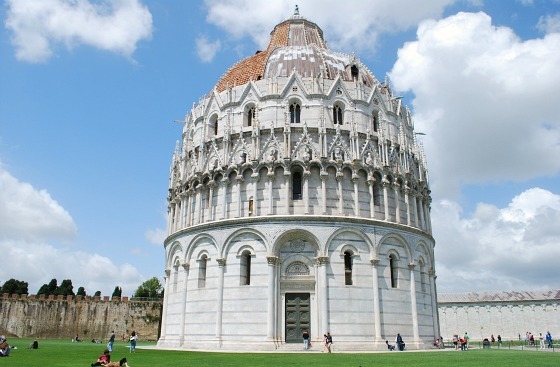 This is Italy’s largest Baptistry and it was founded in 1152. The whole town was involved in the construction of the building and inside you’ll see the font where many people in Pisa were consecrated as Christians. 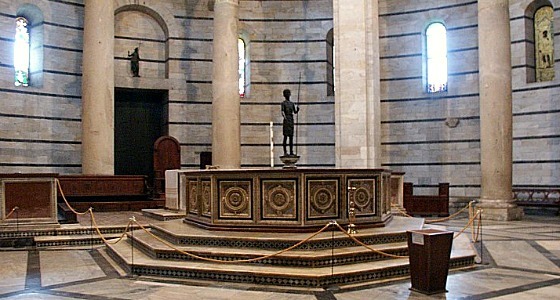 The other significant feature inside is a huge Gothic pulpit that depicts religious scenes based on pagan beliefs. On the outside, look for the roof tiles that have only been added on some of the aspects of the building. We have no idea why! 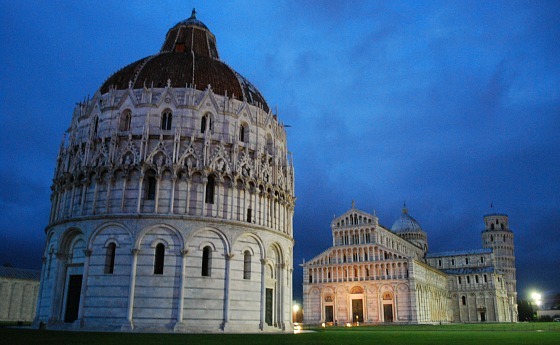 This is an extract from our free Pisa City Guide.